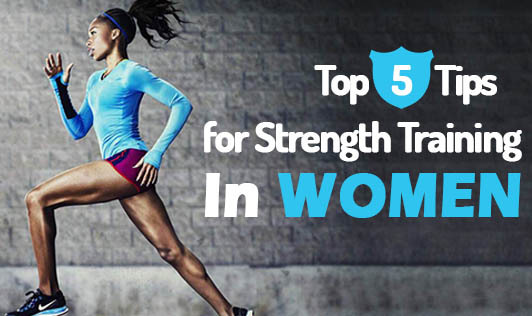 Are you one of those people who is under the impression that strength training is only for men? Well you are wrong! Women also need to practice strength training in their exercise routine. Never ignore the warm up session: Do your warm-up stretches; it will prepare your body for workout. It is important to do this as it will prevent exercise injuries in future. Watch your breath: While working out, give extra attention to your breath. Doing this is very important as it gives you maximum benefit from your workout. Exercise smoothly: Your exercises should be very uniform and smooth and should not involve sudden movements or jerks. Also remember to take rest between two different exercises. Do not overdo it: Always take weight which you can handle comfortably. It is good to push yourself to the point of fatigue but make sure you don't overstress yourself. Increase gradually: Once you reach the level of comfort and are able to do all your repetitions smoothly, you can increase the weights by 3-5 pounds.